Do you want the very best for your family in eye care and preventative eye health? At Ian Donald Optometrist, our focus is always on ensuring your eyesight and eye health remain optimal. Our expert team will provide you with clinical excellence in eye care and preventative eye health. Your vision is in great hands. Are you ready to take the first step towards great eye health? – complain of double or blurry vision when reading? – cover or close one of their eyes when reading? If you suspect your child’s eyesight may be affecting their ability to learn effectively at school, we can make a huge difference to their life. Many vision problems and eye diseases can be detected and treated early. Regular checks can also pick up problems that you mightn’t even know about. It’s okay to admit it. As we get older, our eyesight isn’t what it used to be. There are many age-related conditions that can affect your eye health. There are also many serious eye diseases that show little or no symptoms, which only an experienced optometrist can diagnose and treat. If you find yourself holding that phone out just a little further in order to read your texts, it’s probably time to pay us a visit. Want to keep your freedom and maintain your lifestyle? We have decades of experience with age-related eye conditions. Whether you want to stay on the road, keep swimming, enjoy reading or sewing – or even just to feel confident about remaining independent – we can help. Our highly qualified dispensing team have more than 60 years of combined experience among them. You could say we know what we are doing. Our team of optical dispensers will help you choose the perfect frames for both your prescription and your face. Leading-edge knowledge, expertise & technology drives clinical excellence. We put your needs first. Your needs guide every decision we make. Reliability, timeliness & understanding. Every single time. Comprehensive & accurate assessment delivers optimal results. We build long-term relationships with generations of families. Ortho-K is a painless, revolutionary procedure that corrects your child’s eyesight and reduces their dependence on glasses or contact lenses. When do I need glasses? It’s not easy being this side of 40. You’ve probably noticed your vision has started to change. Don’t panic, it happens to the best of us. 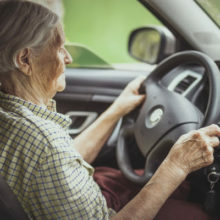 If you are aged 60 or older, driving a car might be riskier than you realise. Eye tests are mandatory every year after the age of 75. © Copyright Ian Donald Optometrist 2019. All Rights Reserved. Website by Brilliant Digital.